Refinery 29 reports that it’s been a while since we heard anything from Target especially since its store is right there in East Harlem. Just when we thought Target couldn’t get us any more amped up for summer to end, the store hit us with a new home line that looks like autumn incarnate. The fall collection, named Hearth & Hand, was born out of the company’s collaboration with Chip and Joanna Gaines’ home brand, Magnolia. The lifestyle duo describes the most recent iteration of this Target exclusive as filled with pieces that “reveal the beauty of everyday moments shared with family and friends.” That translates to a curated spread of over 50 new goods with a handmade feel and bursts of seasonal color for accenting everywhere from the bathroom to bedroom and kitchen. 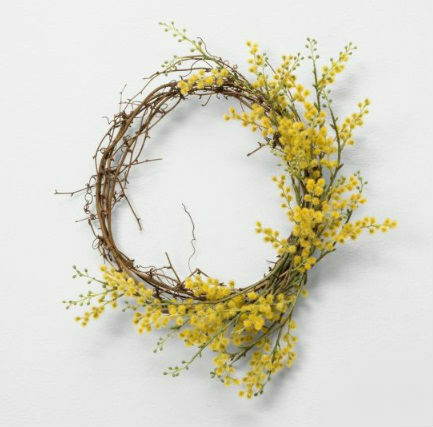 Hang this golden wreath over your fireplace or front door for a splash of seasonal charm — or wear it on your head as an autumn crown. Hearth & Hand Magnolia Faux Crespedia Wreath, $36.99, available at Target. Fill these glowing amber canisters with everything from bathroom to kitchen stuff. 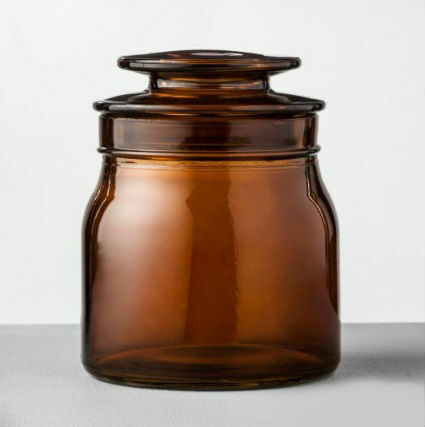 Hearth & Hand Magnolia Bath Canister – Amber , $3.99, available at Target. These smooth wooden vases look hand-whittled and ready to be arranged on a mantle, filled with fallen foliage and Harlem history. 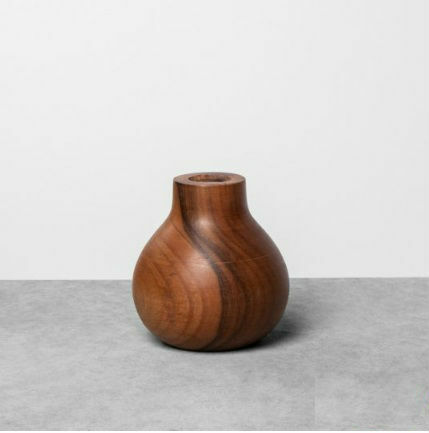 Hearth & Hand Magnolia Vase – Brown, $12.99, available at Target. 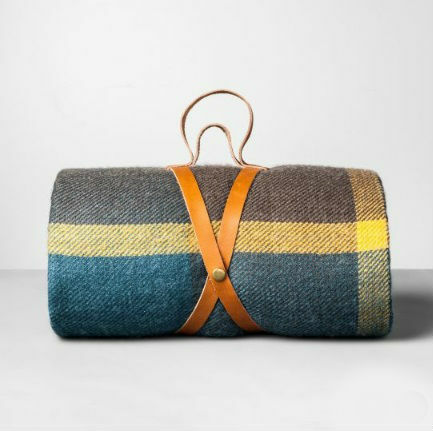 Made from durable linen with faux leather side straps, these floor cushions are ready to be picked up and parked in front of an autumn fire. 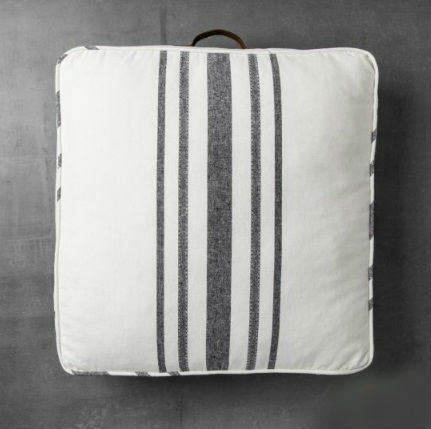 Hearth & Hand Magnolia Square Floor Pillow , $49.99, available at Target. This entry was posted in Harlem, shop harlem, shopping and tagged Chip and Joanna Gaines, handmade, Hearth & Hand, Joanna Gaines, Magnolia, target, Target In Harlem by Harlem World Magazine. Bookmark the permalink.